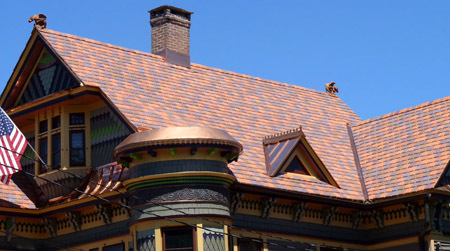 Looking for a slate roofing contractor in the New Jersey area? You've come to the right place. Slate roofing offers many benefits as one of the most durable and attractive roofing materials available today. Whether you need a brand new slate roofing installation or complete replacement LGC Roofing is there to offer top quality service. With over 20 years of experience, we have the knowledge and the proper skills to work with any type of roofing material, including original and composite slate. We specialize in installing composite slate roofing. An imitation of real slates made of plastic, composite slates are lightweight, durable and virtually maintenance free. 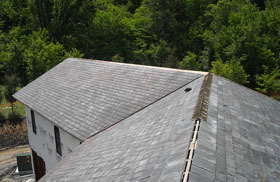 Request a slate roofing installation or repair estimate for your home in just 20 seconds. Request a Slate Roofing Estimate in Just 20 Seconds! 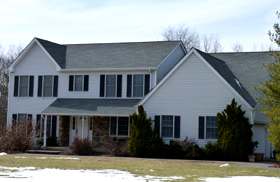 Copyright © 2014 LGC Roofing | Lawrenceville, NJ. 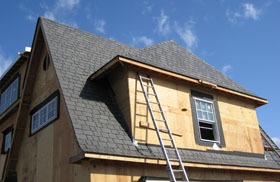 New Jersey Roofing Services (Roofing Installation, Replacement & Repair Contractor).